The term asvin comes from the Indian mythology. Ashvins are godlike twin-horsemen, who are known as healers of Gods that prevent from illness and misfortune. Preventing from illness, closing IT security gaps to keep IoT devices healthy, precisely that is the reason for developing asvin update security software! With the Internet of Things, digital technologies have become an integral part of our everyday life and a backbone of the economy. The threat of cyber attacks is growing continuously. IT security vulnerabilities pose a risk to the economy and business. Asvin up date security software closes security gaps between Embedded Device Controller of Industry 4.0 with Cloud applications. Because precisely here all the sensitive data on IT security gaps is being transferred, thus throwing the gates wide open for cyber threats, ransomware, DOS attacks, hacking and data theft. 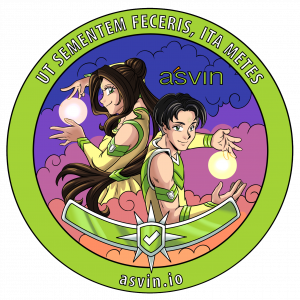 Asvin offers a secure Update open Source solution for all applications relating to the Internet of Things.